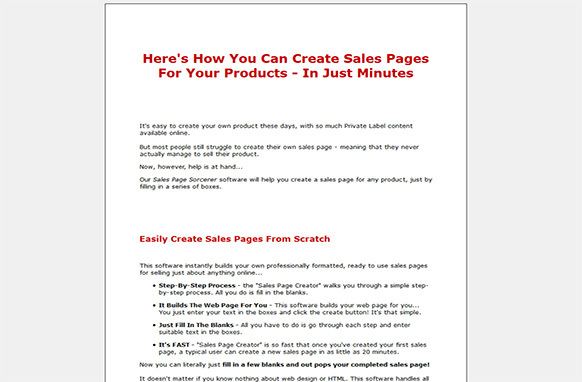 Here's How You Can Create Sales Pages For Your Products - In Just Minutes. It's easy to create your own product these days, with so much Private Label content available online. But most people still struggle to create their own sales page - meaning that they never actually manage to sell their product. 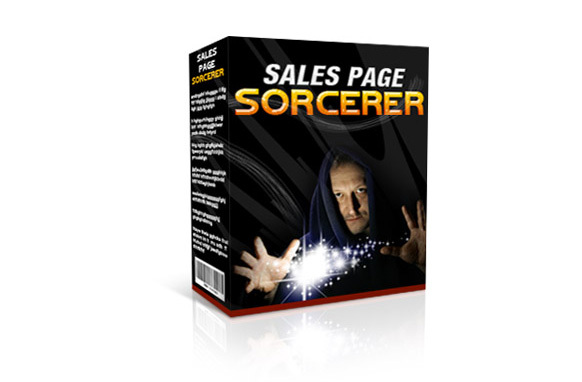 Now, however, help is at hand... Our Sales Page Sorcerer software will help you create a sales page for any product, just by filling in a series of boxes.